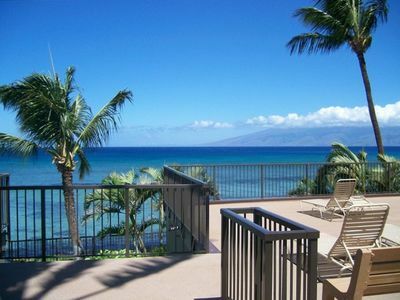 Enjoy the sounds of waves crashing from your living room! 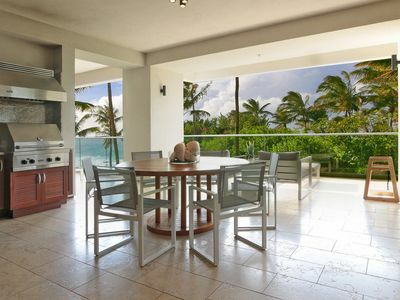 This peaceful, oceanfront complex in a lush tropical setting has been recently remodeled, top-to-bottom! 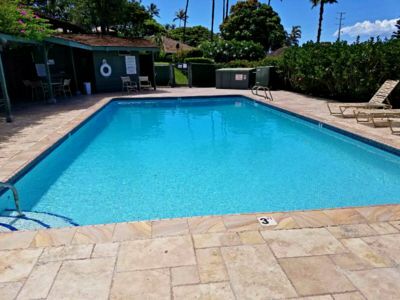 Unit 114 has been recently updated with new furniture and a beautiful kitchen with granite counter tops, new cabinets and appliances. 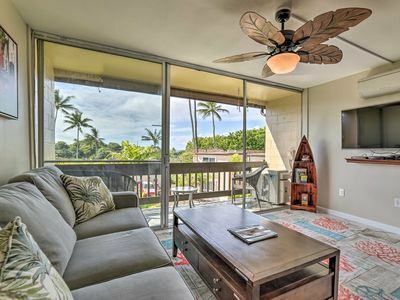 The living room with its stylish decor, feels more like your 2nd home, complete with flat screen TV, DVD player, and loads of movies - so you don't have to go out and rent. 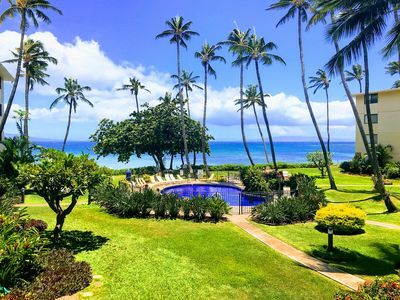 Bringing your laptop? 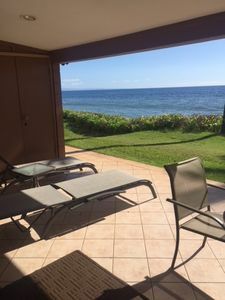 I've provided secure high-speed WI-FI internet connection so you may stay connected with your friends anywhere. 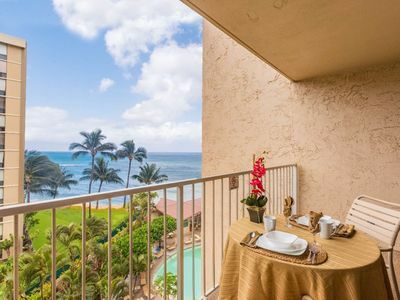 This welcoming ground floor unit provides easy access, and has 12 feet of windows in the living room that open onto a convenient walk out lanai loaded with tropical plants & flowers. 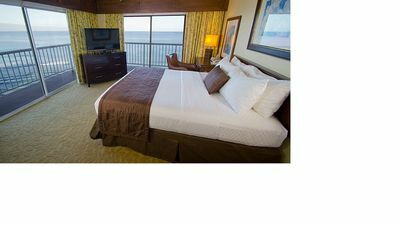 My unit comfortably sleeps four with a queen size bed in the bedroom, and a queen size sofa bed in the living room. 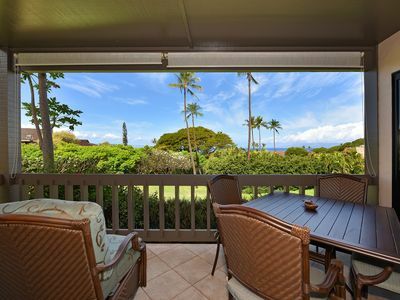 There are ceiling fans in the living room and bedroom, fully equipped kitchen (including everything from coffeemaker to BBQ utensils to blender - for those evening Mai Tais! 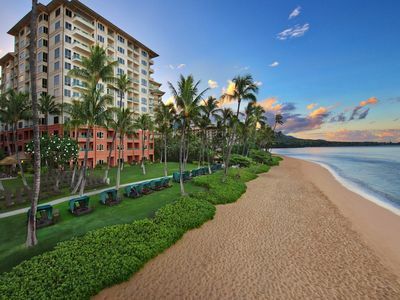 ); also provided: hair dryer, beach towels, beach chairs and a large cooler. 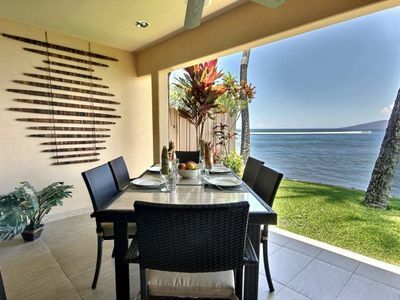 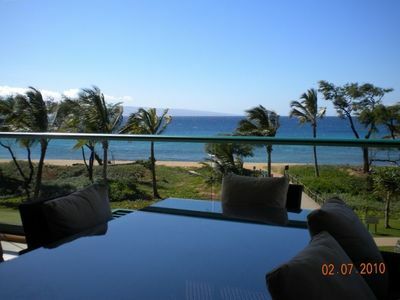 From the sundeck there are fantastic views of Lanai and Molokai. 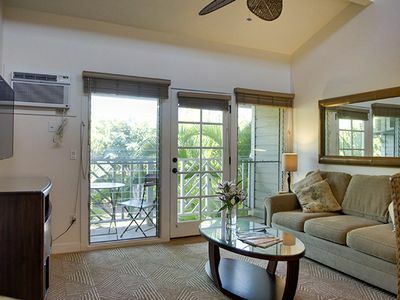 We have two laundry rooms on the property, each with several inexpensive coin-operated washers and dryers. 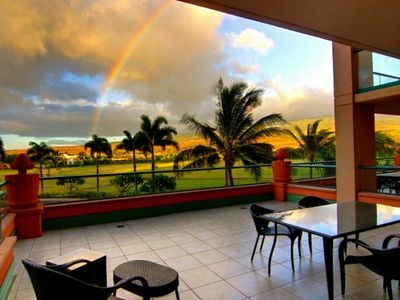 My wonderful condo is located in the Hale Ono Loa Resort, and is located at 3823 Lower Honoapiilani Road, Lahaina, in West Maui.. 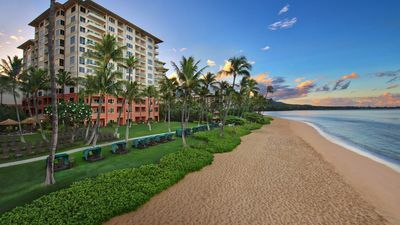 This is an oceanfront complex with beautifully maintained tropical landscape, azure pool, lots of tables for ocean view or poolside dining, and even a shuffleboard court. 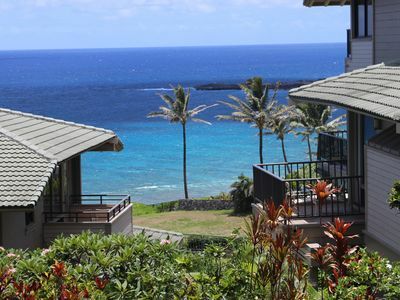 You can whale watch or 'have lunch with the sea turtles' from the large community deck. 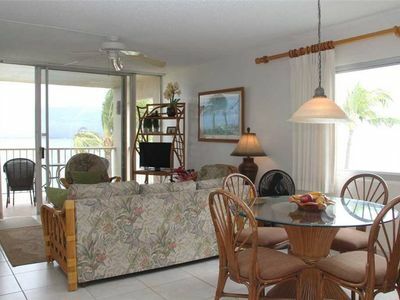 The condo is great for small families or a quiet couple getaway. 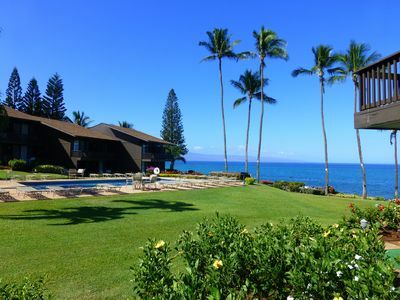 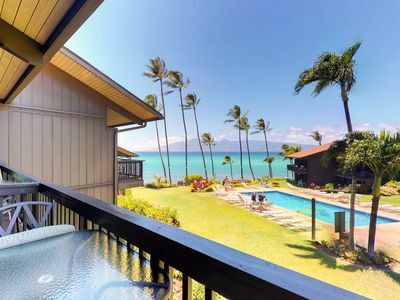 Being located just minutes from Maui’s popular Kaanapali area, near championship golf courses, shopping and dining, and a short walk to an all-inclusive grocery store, plus a wonderful farmer’s market (for fresh local fruit and produce), makes this a perfect vacation spot. 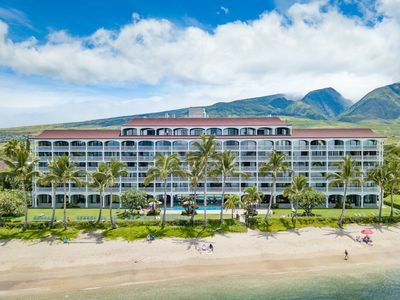 Try out the new Duke's at Honua Kai resort, an easy walk..
We are only a five minute drive from world renowned Lahaina Town, where you will find the best in restaurants, shopping, and nightlife. 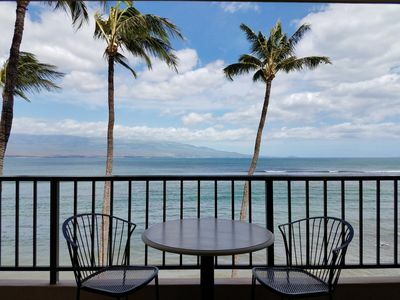 The harbor in Lahaina Town is also the launching pad for ocean outings including deep sea fishing; whale watching tours, snorkeling cruises, and sunset sailing adventures.